At McKenzie River Dental, we believe your dental experience should be a pleasant one. We pride ourselves in creating a homey, family-friendly atmosphere that puts our patients at ease. Our team of professionals will help guide you through your complete treatment process. Headphones – Listen to music or bring your favorite movie to watch on one of our DVD players. Infection Control – The infection controls that we use at McKenzie River Dental protect both staff and patients. A Relaxing Environment – Refresh yourself with water, coffee and tea. While we want to help you receive the dental care you need, we know financial information is an important part of decision making. At McKenzie River Dental, we work hard to make dental care affordable and to help you take full advantage of your insurance benefits. 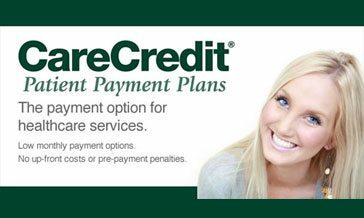 We accept most major dental insurance plans, including Delta Dental, ODS, Washington Dental Service, Met Life, Regence Blue Cross Blue Shield, Pacific Source, and Aetna. We recommend you check with your individual insurance provider to make sure that you are able to see the dentist of your choice. There are some plans that require you to go to a specific clinic or network of providers with whom we are not associated. If you have dental insurance, we are happy to assist you in receiving your maximum allowable benefits.